Small space decorating requires rethinking scale and how we use the pieces in our space. 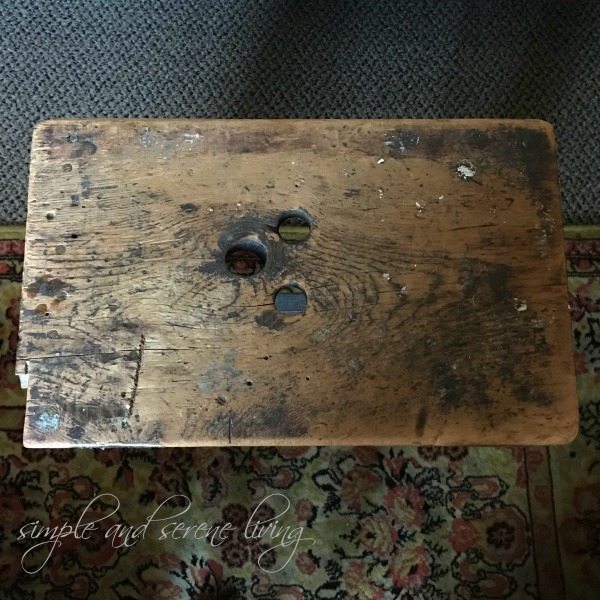 I have found that old milking stools are not only charming, but also are wonderful for taking the place of other pieces. I love having a coffee table, but I really don't have the space for a conventional table. 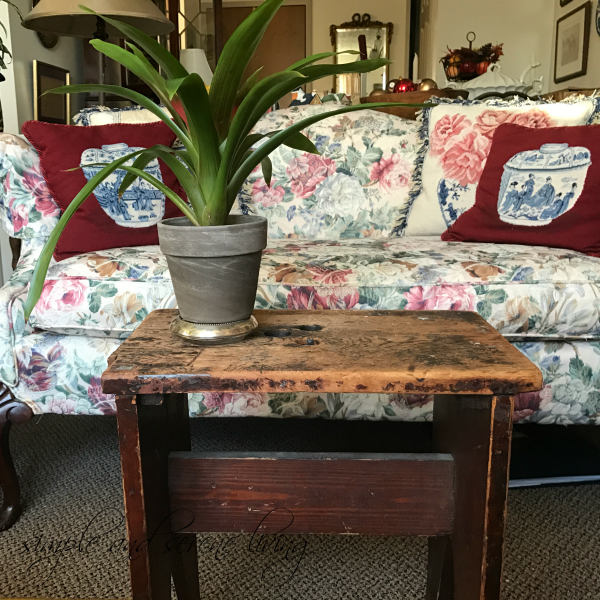 I do however have this sweet rustic milking stool and it serves as a little table without taking up too much real estate. Also, with its handy holes in the top it is easy for me to move it over by my chair when I need a place to park my cup of tea. I have a second milking stool in my bedroom. She is so pretty in pink. I move this one around a lot too. Perfect in my bathroom to sit and put on makeup or next to my bedroom chair. 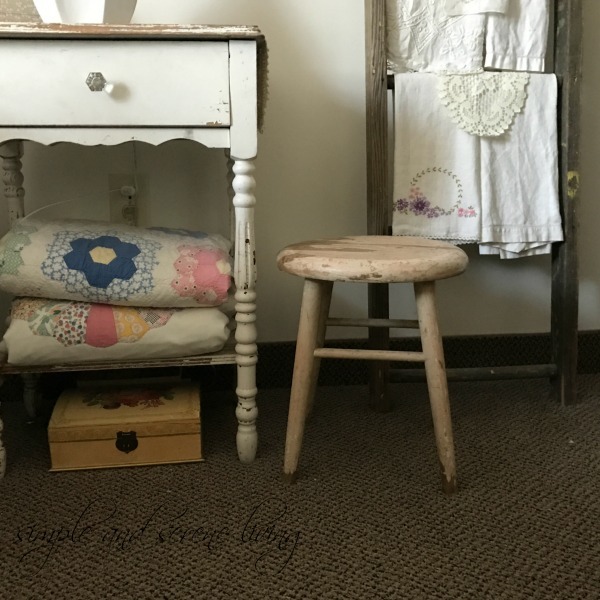 Small spaces can be challenging when it come to decorating and although I do use large pieces, it is nice that these little milking stools add to the decor. P.S. You can find more of my small space decor here. P.P.S. There are also small space decor ideas here. I love that last photo...with the old quilts and linens! It's beautiful! Looks like a photo from a magazine my friend! Hugs! Great idea, wonderful patina on the living room one. Thanks, Ann. love that it is so rustic. I love the little milking stools and they are so useful also. Small space living is a challenge but also pretty great!! I really love my little apartment, Linda. It is so cozy and easy to maintain. I love your old milking stools Laura. They are perfect to fill in spots as a use for a table. The photo of the pink one in your bedroom is so pretty with your vintage table and the quilts. Charming! Thanks, Pam. My bedroom always feels so peaceful. I have that problem in my living room - the space is oddly shaped and I don't really have room for a coffee table, so I have a set of nesting tables tucked off to the side that can be pulled out as needed. Cute idea with the milking stools!! Can you imagine milking a cow on one of those stools? Wow. We've really gotten soft. Those are sweet stools. My space is also small and we've used small tables ourselves. I love my little stools. We definitely have to be creative in our small spaces. I use old milking stools around the house too. When I change things around & don't use them in all the little spaces. They look nice just stacked in a corner too! Your home looks so cozy & wonderful. Take care! Thanks,Kaylene. Stacking them sounds like a great idea. Wish I had more. Genius. OMG love those stools. Awesome. Your square stool in front of the couch is such a perfect size.. I love imagining how it must once have been used! I like lightweight little tables and stools.. so I can move them to where they're needed. 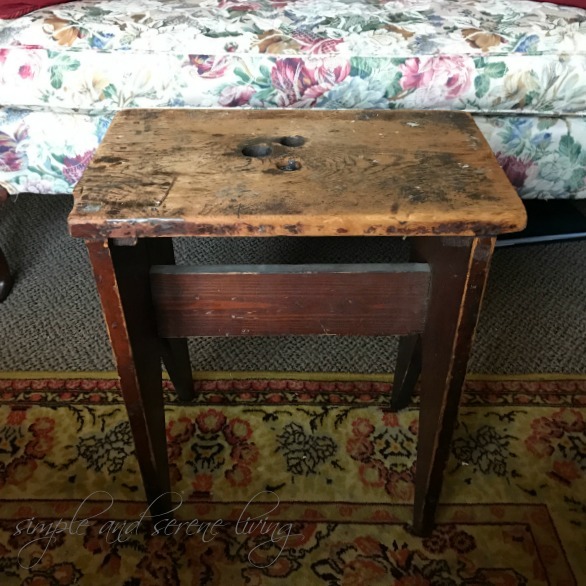 I have a little needlepoint stool (not a milking stool, but round and cute and low to the ground) that I use alot to rest my feet on, or put by my chair to put a plate on, or my books, etc. Another stool I use on the fireplace hearth to put my laptop on when I use it in the living room and another short little table goes under my desk in my bedroom. The little stools and tables are so great for a small living space.. and yours looks so sweet and cozy. Isn't it nice to walk into our home and just look around and love everything we have collected over the years? (and a few new/old things too)!!! Exactly, Marilyn. I love looking at the things I have collected. 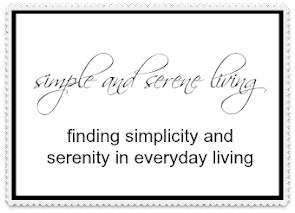 They give me a sense of continuity and peace.